Ideal for ejectors, slides & actions. Supplied in a new easy to dispense plastic tube with large non-slip cap. This white grease is highly water resistant (to DIN 51807). 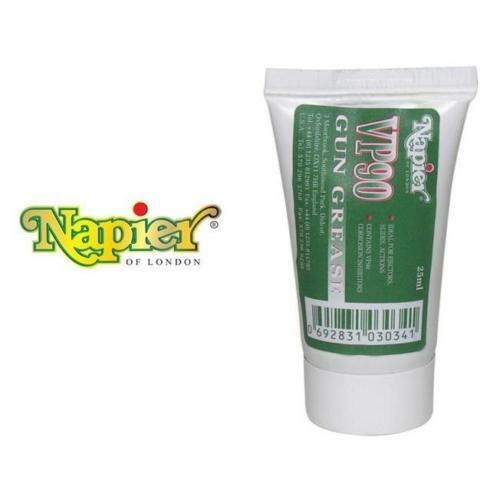 VP90 grease operates effectively in temperatures of -20c to +120c.